Lovingly tended by successive generations of faithful parishioners and dedicated clergy, St Martin’s Parish first took root in the years immediately after the first world war. 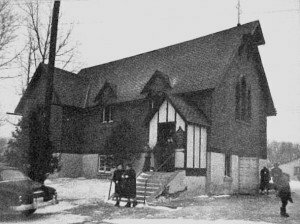 At that time land west of what is now Churchill Avenue featured small holdings and farms .The Parish Church of the day was All Saints mission church adjacent to the Nepean Town Hall built in 1889. Trekking from afar to attend worship there was proving increasingly difficult especially in winter. In 1923 parishioners led by Mr. Fred Pooler and supported by the Reverend R.M. Stacey sought and received agreement from Bishop Roper to erect a new church with funds raised for its construction and the purchase of land at the corner of Woodroffe and Byron. A handsome rise of land on an acre sized lot situated where Prince Charles Road meets Lockhart Avenue was chosen as St Martin’s new site. 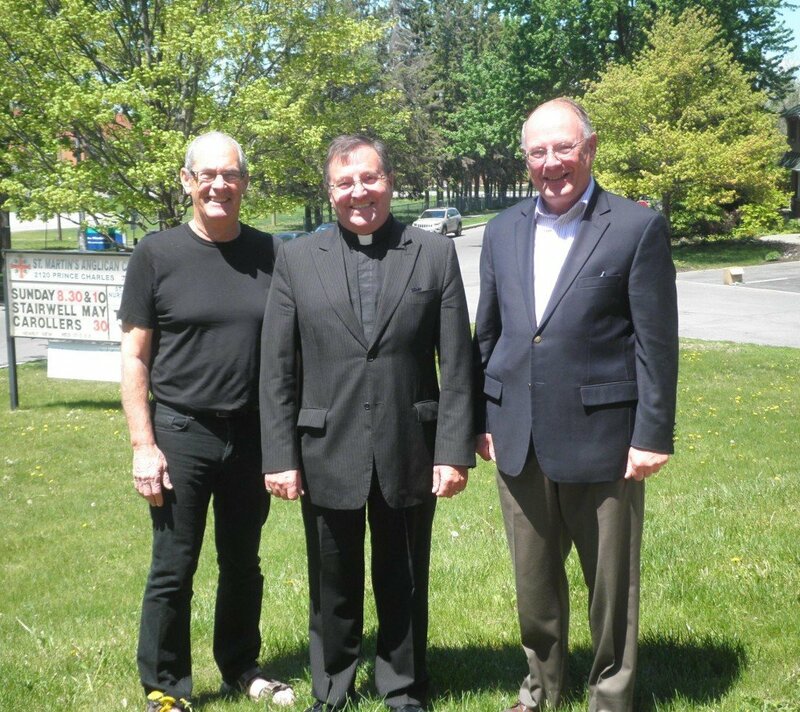 The campaign funding goal of $75,000– more than $685,000 in current dollars – was met and exceeded: a testament to the prayerful caring of parishioners of the day. 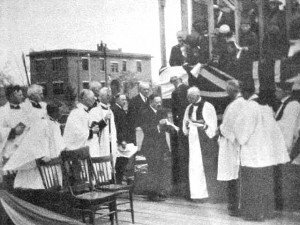 Ken Cowan was Rector of the Parish and the new Church was dedicated by Bishop Reed on January 12th 1956. In 1964 while David Thompson was Rector, the Education Wing was added. 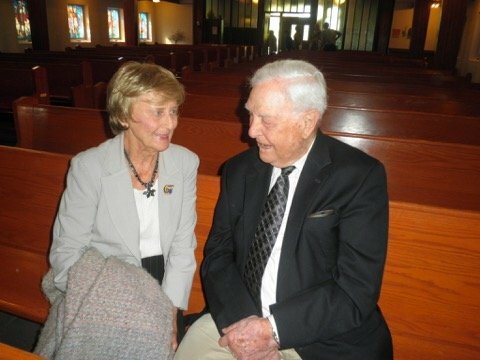 St. Martin’s 80th anniversary was celebrated in 2005 with a well-attended Choral Evensong followed by an Anniversary Dinner in the Parish Hall. The Service of Evensong included a presentation entitled “Cloud of Witnesses” in which events during the life of the Parish were dramatized. 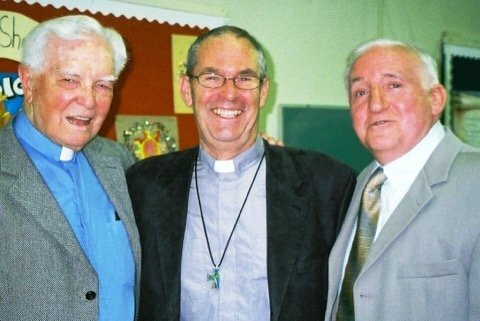 At the dinner, St. Martin’s Rector from 1981 to 2009, the Reverend Rob Heard, welcomed the Reverend Ken Cowan, the Reverend Dave Thompson and the Reverend Allan McGregor, all former Priests of the Parish. In the years since its 80th anniversary St Martin’s has continued to serve and be served by a loyal and faithful church family: one comprising long time parishioners, newcomers , and an encouraging number of young families . While numbers are not on the scale of those experienced in the 1960’s, they’ve been more than capable of meeting and exceeding the fund raising goal set for St Martin’s as part of the Diocese five year GIFT campaign that concludes in 2016. 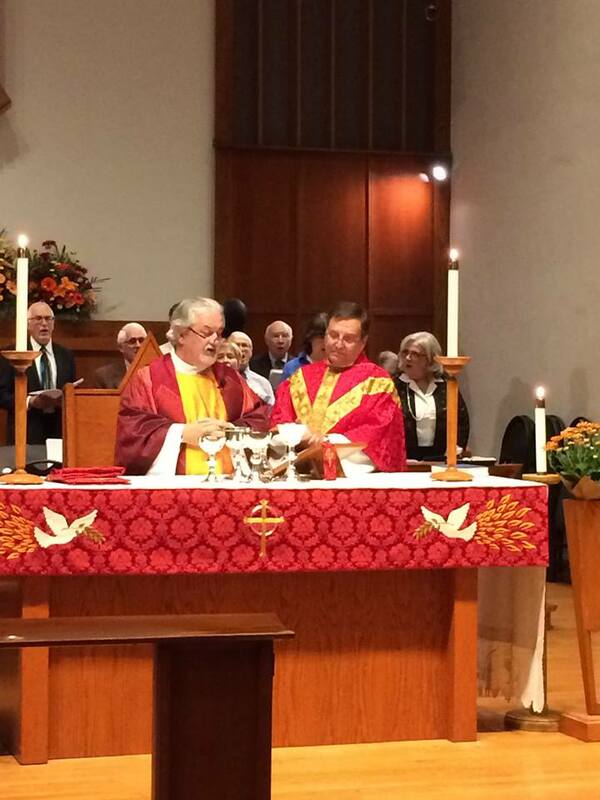 St. Martin’s also continues to be led by committed and caring clergy. Following Canon Rob Heard’s eighteen years of service, the Reverend Richard Vroom was at the helm between 2009-2014 followed by the Reverend Canon Gerry Peddle St Martin’s interim priest in charge from the fall of 2014 to spring of 2015. 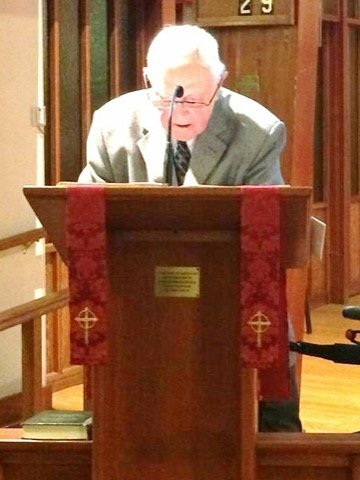 Throughout the years since his retirement the Reverend Ken Cowan has been a welcome presence at St Martin’s events including attendance at the induction of the Reverend Richard Vroom and as one of the Readers for the induction of St Martin’s current Rector, the Reverend Canon John Organ. Three wise men Rev. Richard Vroom (ret), Rev. Canon John Organ and David Dawson, St Martin’s Choir Director and Organist May 21, 2015. 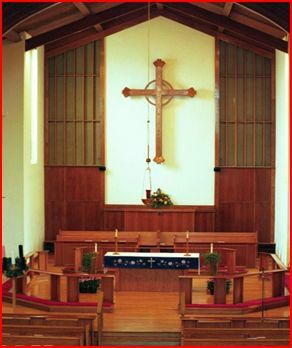 In the grand scheme of things St Martin’s as a house of Christian worship is about more than its bricks, its mortar or its overhead wooden beams shaped in the ribs of a boat. 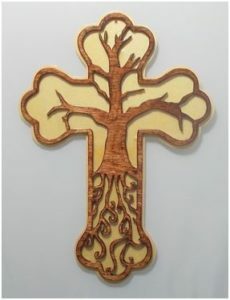 It is the spirit of congregations past, present and yet to come that matters most. The accoutrements adorning the altar and spaces within St Martin’s offer silent testament and ongoing tribute to that ageless spirit. The Celtic Cross that beams out from the sanctuary was a gift from the Chapman family donated in memory of Bishop John Chapman’s late father Archdeacon Don Chapman Rector at St Martin’s from 1973 to 1991. The twenty memorial windows in the side aisles installed over a 37 year period from 1954 to 1991 depict the story of Jesus while those in the north facing chapel once graced the “little brown church” and date back to 1928 with the south transept window offering a 1994 rendering called The Creation. 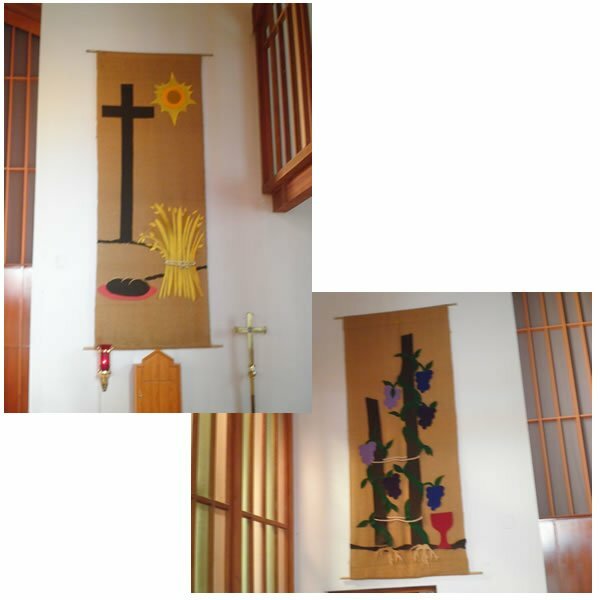 The banners flanking each side of the Sanctuary and the two companion ones on the interior walls were originated as Sunday School projects in the mid 1990’s. 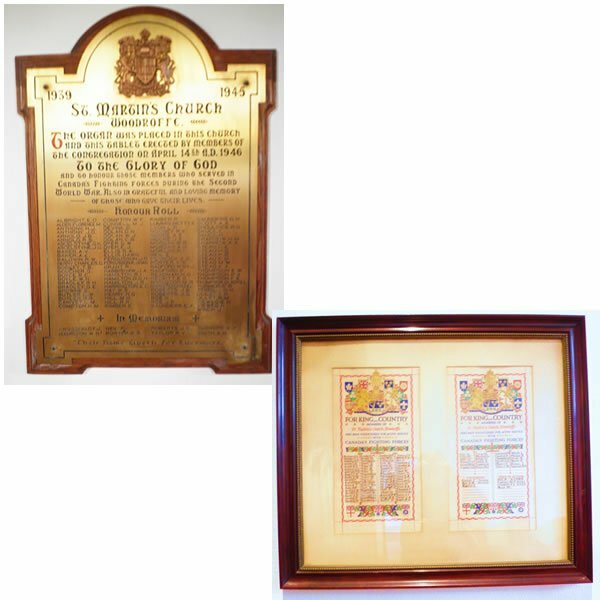 A bronze plaque and a parchment scroll inscribed with the names of St Martin’s parishioners who gave their lives serving God and country in Canada’s military offer silent tribute and an ageless reminder of what matters in the grand scheme of things when it comes to defending our country’s charter rights and democratic freedoms. 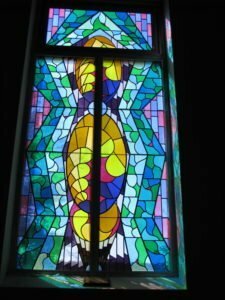 In recent decades St Martin’s, along with Anglican churches and those of other Christian denominations throughout parts of the country have borne witness to many changes— prime among them the reality of aging congregations and declining church going numbers. This is not to sound a note of dismay so much as it is a call to adjust to changing times and needs with deeper faith and openness. In the coming years St Martin’s can be counted on to remain loyal to its deep roots and prepared to embrace the future with steadfast trust in God’s grace and enduring wisdom. Copyright © 2019 St. Martin's Anglican Church.